For those of us who had the pleasure of meeting and knowing Jean Sage, who died at the age of 70 in 2009, he was modest but had a forceful personality and assisted the Grand Prix Drivers Club greatly during the time he was a member. 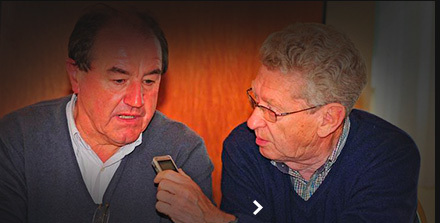 However his career in motor racing and rallying was one of great success but you had to push him hard to get him to tell some of his motor racing stories. I first got to know him just over twenty years ago when he was commuting in his Range Rover from his home in Annecy les Bains to Maranello where he was called in to try and sort out the sometimes chaotic state of the Ferrari archives. 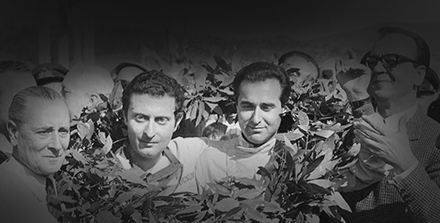 As anyone with a knowledge of Ferrari will tell you, Enzo Ferrari was reluctant to look back and preferred to look forward to the next race and the next win. Indeed part of the reason why some of the early Ferrari competition cars reach such astronomical figures on auction is that Mr Ferrari would have his old cars dumped in an enclosure to be taken to a local scrap merchant.to be cut up and destroyed. So the concept of filing and keeping papers, and other bits of memorabilia took a low priority. It was this job that Jean Sage was asked to try and arrange but he was not able to finish the job. Jean was born into a wealthy family in Thiers, near Clermont Ferrand in the South of France, and was brought up during WWII. His interest in racing started in 1950 when he was just 10 years of age. His mother took him on the back of her bicycle from their home in Chambery to Aix-les-Bains to see the Formula 2 race. The winner that day was Raymond Sommer in his Ferrari 166 and Jean also remembered Harry Schell winning one of the heats in his Cooper 1100 and from then on he was hooked. As can be appreciated, his father was not the slightest bit interested in cars and never encouraged Jean in his interest in cars and racing. Indeed when Jean left home in 1960 he was not to have contact with his father for the next 18 years. Later, however, his father became enthusiastic for motor sport. When he left home he moved to Annecy as workshop manager at the Avis car rental company in Geneva. One of his racing friends was Rene Trautmann a stalwart of the Citroen DS19 Rally team and when watching Trautmann at a rally Jean gained his first active experience. He was standing as a spectator at the end of the first special stage when Trautmann arrived followed by another Citroen. The novice co-driver of the other Citroen was terrified, jumped out of the car and ran away! Trautmann pointed to Jean Sage and told the other driver to take him as co-driver for the rest of the rally so Jean was swept off on his first actual rally. 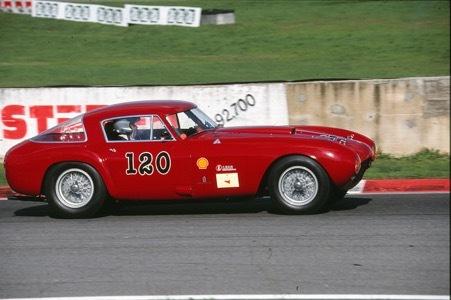 The following year grand prix driver Andre Simon invited Jean to co-drive with him on another rally in a long-wheelbase Ferrari 250GT TdF which started him off on his long love affair with Ferraris. Meanwhile Avis had promoted him to manager of their Lausanne branch but clearly motor sport was taking over his life and in 1967 at the age of 29 he decided to concentrate full time on rallying. He was now co-driving in the Renault Alpine team and forged a friendly association with Gerard Larrousse. However, when he and Larrouse were practicing for the Tour de Corse rally in their Alpine they hit a bridge and the car fell twenty feet down on to the rocks beside the river below. Jean broke his neck in this accident and suffered pain from this injury for the rest of his life. Six months after the accident he was racing his Porsche 911 in the Monza 1000 kms. 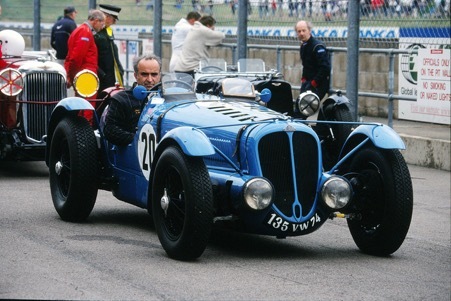 Jean Sage at Silverstone with his Delahaye. His friend Patrick dal Bo gave him one or two drives in his Pygmee Formula 3 car but as Jean honestly confessed “….I was a very bad Formula 3 driver”. He was also involved with the Hollywood film Grand Prix and was even roped in to drive a Lotus 33-Climax wearing a blue crash helmet to represent Jim Clark. 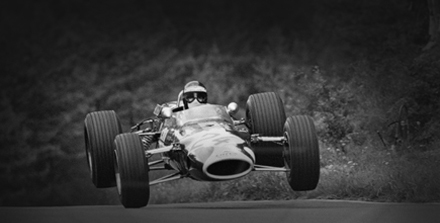 He admitted that in this filming sequence Jochen Rindt was driving a modest Formula 3 car but Jean could not keep up with him! Jean’s best race result came at Sebring in 1969 driving a Porsche 911S with Andre Wicky winning the 2 litre class. His move into racing management came through his friendship with Gerard Larrousse who had signed up with the Swiss Paul Archambeaud to form Ecurie Elf Switzerland in Formula 2 and in 1974 Jean and Gerard Larrousse took over the running of the team. Things went well and when Renault moved into Formula 1 with their turbocharged Renault Jean Sage was made team manager.He proved to be very astute in many ways even though he later admitted he hated Formula 1 politics then and since..
Jean Sage on the Mas du Clos circuit with his beloved Ferrari 250GT SWB. engrossed in motor racing history; in particular Ferrari history. 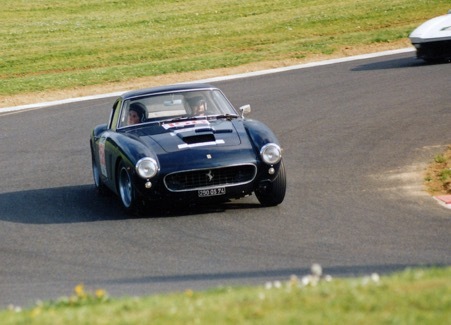 His favourite car was his short-wheelbase Ferrari 250GT which, by pure chance, had also be owned by Andre Simon at one time. But his pride and joy was his mighty Ferrari 375MM Berlinetta that had been raced by Umberto Maglioli in the Pan American Road Race. After his period with Renault, he joined Ferrari’s French importer Charles Pozzi and set up a team of Ferrari F40s for Pozzi raced by Jean Alesi and Jean-Louis Schlesser amongst others. He also ran a team of F40’s in the IMSA series in the USA. When Belgian Grand Prix Drivers Club member Jacques Swaters asked him to organise a series of races for historic Ferrari’s the idea was taken up by Ferrari and in the 1990’s became the Shell Ferrari Historic Challenge, later the Ferrari and Maserati Challenge. It was a superb series of races run at a variety of circuits around Europe which helped create the increasing spectator interest in historic racing. Probably Jean Sage’s most famous Ferrari, the ex-Maglioli factory 375MM seen with Jean at the wheel at Vallelunga in one of the Ferrari Historic Challenge events he organised. He still managed to fit in races with his Ferraris and also his superb Delahaye and was made an honorary member of the Grand Prix Drivers Club. He threw himself into the Club and was very helpful in many areas. Indeed when he died he left the club a bequest which has helped support the club in recent years. Jean Sage, then, was not only the complete enthusiast but a competent driver who may have been more successful in racing had he not been so badly injured in that rallying accident. 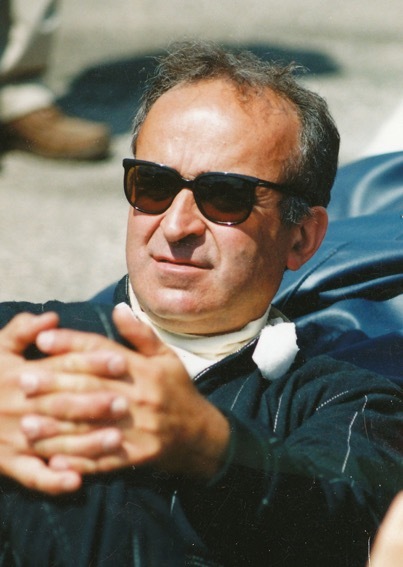 Always charming, and often surrounded by beautiful ladies, he proved to be one of the most successful motor sporting organisers and for that he will always be remembered.